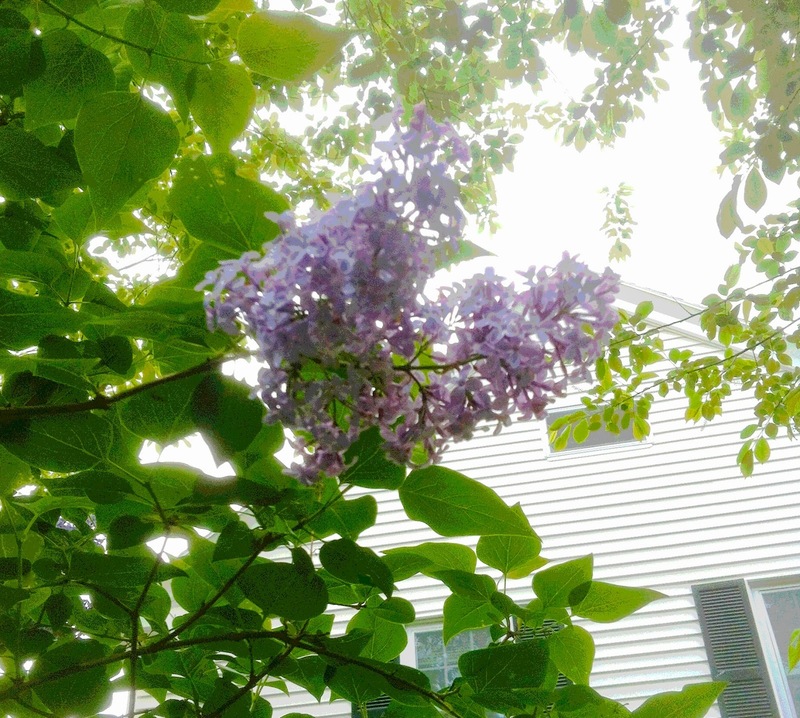 Yesterday I posted a photograph of lilacs growing in my yard, against the backdrop of the house next door. Tonight I used Painter to do some digital cleanup and then cropped the image to get this composition. 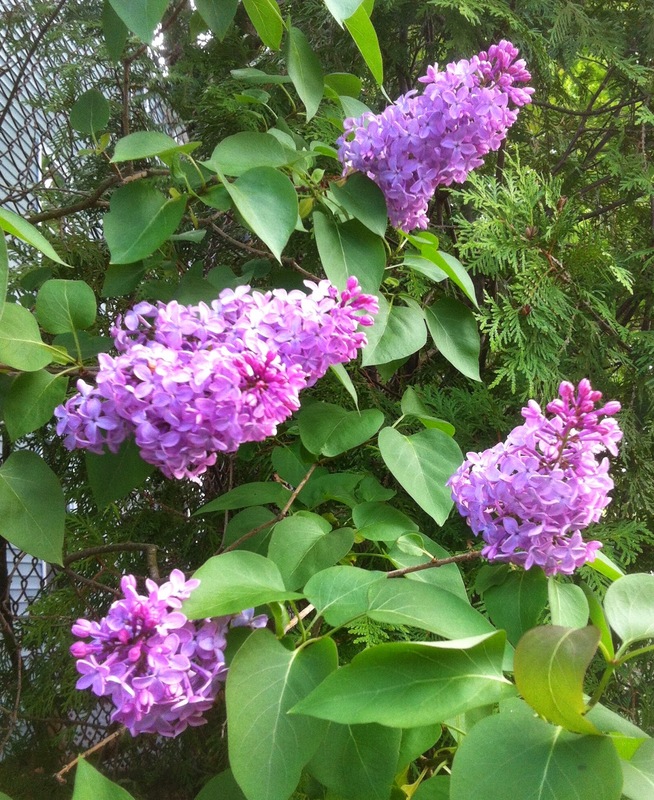 I have been taking lots of pictures of lilacs this spring. 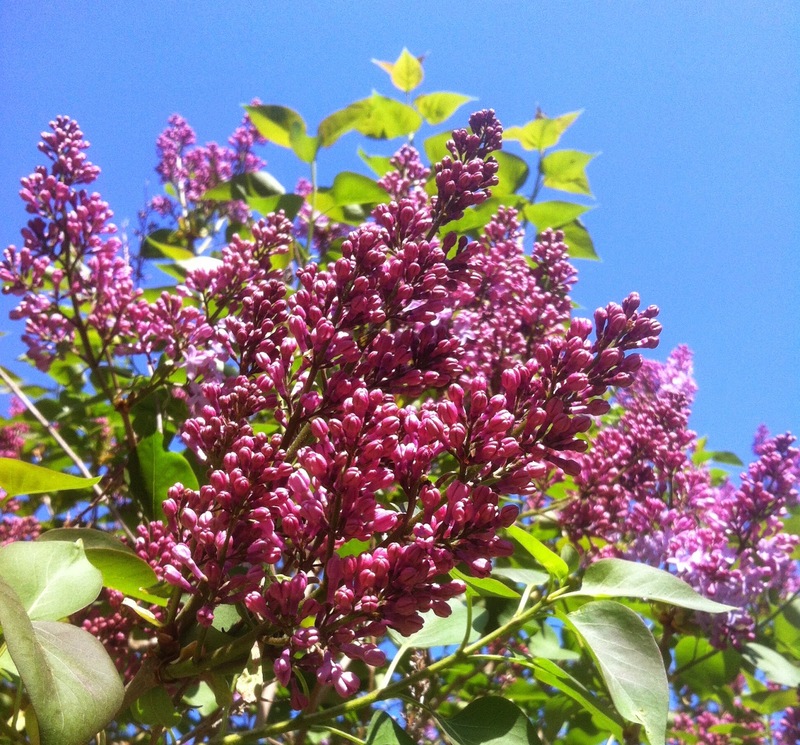 The other day, I took pictures of lilacs in my own yard. Tonight I edited one of the best of the photos, and cropped it to get this composition. This landscape is painted with acrylics used with water on watercolor paper. 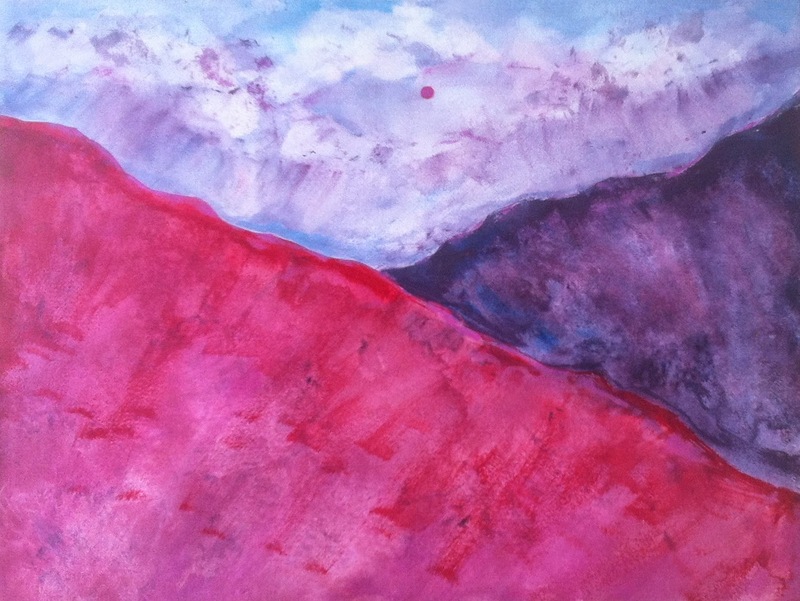 This is another of my "mountain daydreams" inspired by memories of the Rocky Mountains of Colorado. This is a small painting (9" x 12"); I started it as while I was still working on a larger painting, and finished it in one session. This is the painting I have been working on. This landscape is painted with acrylic paint used with water on watercolor paper. I am painting from imagination and memories of the Rocky Mountains in Colorado, my home state. I usual don't use any sources for these "mountain daydreams" but in this case, I did spend a few minutes this morning looking at photos of Boulder Canyon, Lefthand Canyon, and Glenwood Canyon. 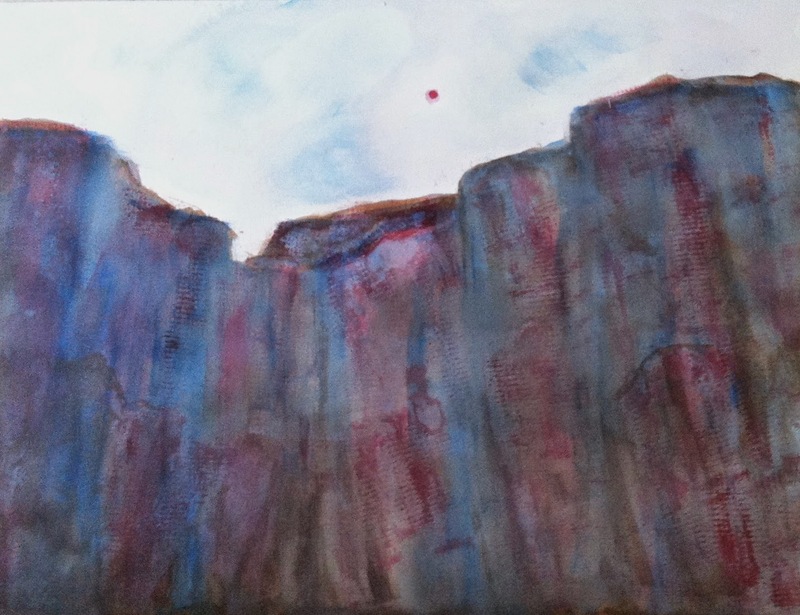 I was pretty happy with the painting as it was yesterday, but I wanted to create the effect of sunlight towards the top of the canyon and darkness below, so I used some pale blue and pink washes at the top, and some brown and red at the base. I also cleaned up some problems that were bothering me. Now I am ready to say this is finished. This morning I took a few minutes to look at photos of canyons in Colorado (Boulder, Glenwood, and Lefthand Canyon) just to refresh my visual memory before I went back to this painting. First, I added more of the textured red areas by painting through a net. I let it dry for a few minutes, then did some wash off. Then I used brown to add more naturalistic shapes to the cliffs. 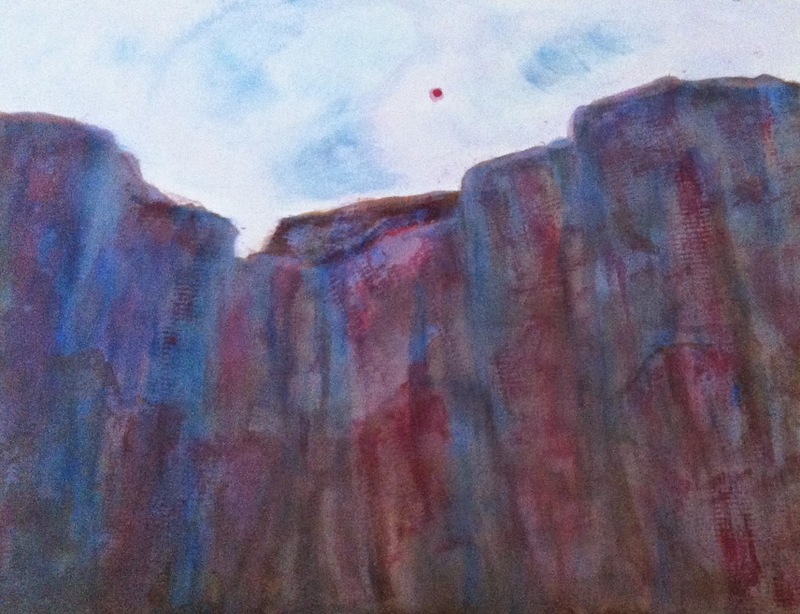 Then I used a pale blue wash over the cliffs. While I was at it, I reworked this sky. This is not finished, but it is getting closer to the way I want it to look. 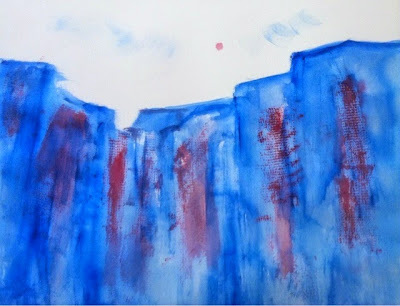 Tomorrow I hope to be able to add more light to the canyon and intensify the blue. I spent part of the weekend in Maine to attend a wedding. This image began as a photo that I took this morning on the coast somewhere near York, Maine. I took this picture from inside a car, but it was hard to get a good shot because I was on the wrong side of the car. 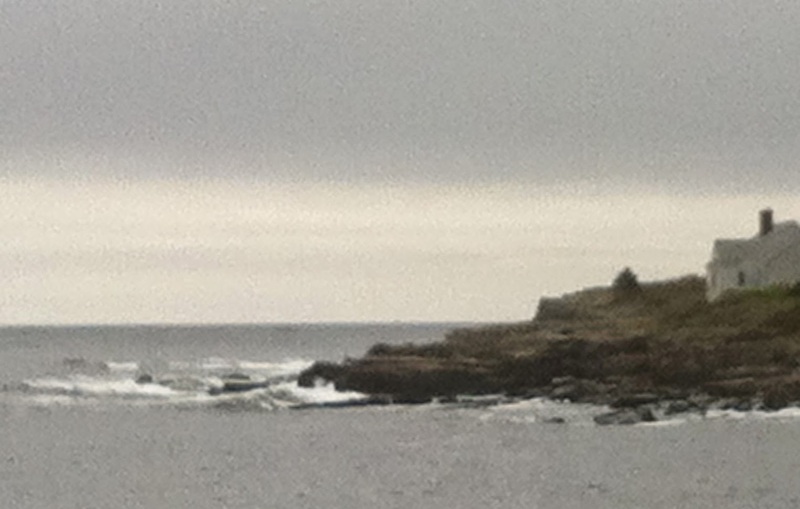 But I liked the lines of the ocean and the rocky coast and the heavy clouds, so I took a picture anyway. Tonight I cropped this image out of the original, and then used Painter to posterize it. This sure didn't look like great weather for a wedding, but by noon, the sun came up and the bride and groom had sunshine for their wedding. Today I was short on time so I just added a blue wash to the painting I started yesterday. Tonight I am trying to learn how to post from my cell phone, which is why this may look different. 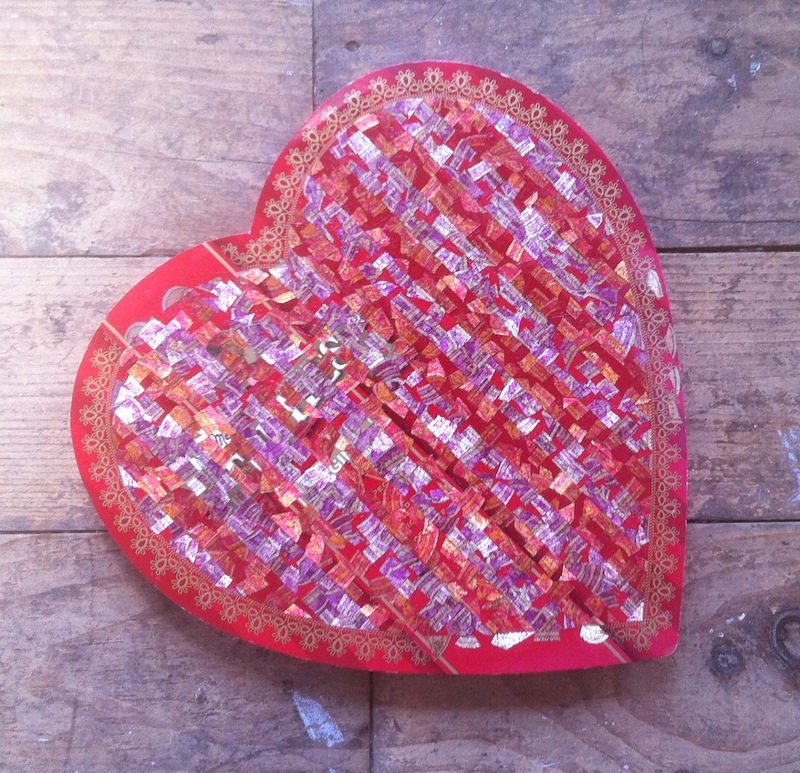 This is a photo of a work-in-progress. This is a painting that I started on May 21, 2014. I had just finished another painting that day, so all I had time to do was to establish the basic idea and the composition. I am using acrylic paint with water on watercolor paper. This is going to be another one of my "Mountain Daydreams" painted from my imagination and inspired by memories of the Rocky Mountains of Colorado. It pays to be on the lookout for lilacs. The other day, we spotted some during a walk in my daughter's new neighborhood. They were fragrant and beautiful and I took some pictures. They were growing next to a chain link fence. My plan was to crop it out of the final photo when I edited the image, but I decided that I liked the contrasting textures. 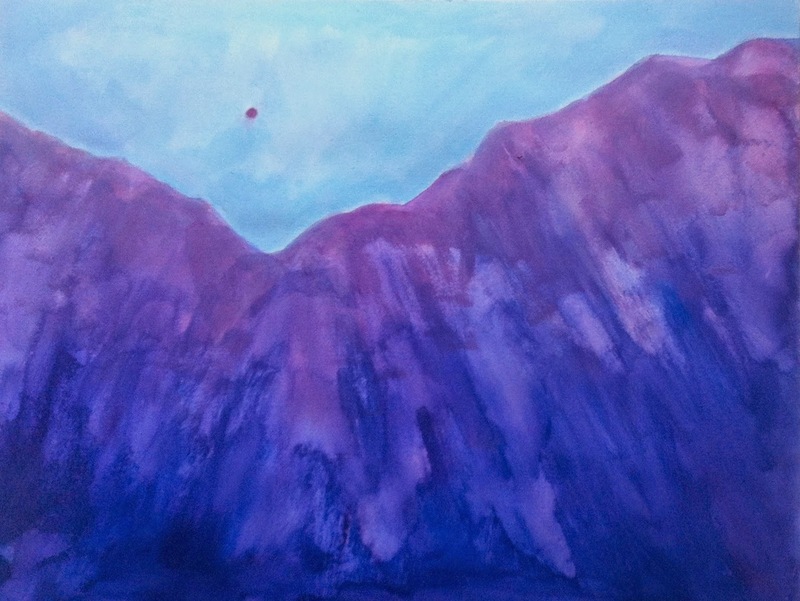 This is the painting I started yesterday, a mountain landscape painted with acrylic paint used as water media. This morning I corrected some things that were bothering, including fixing some of the lines and adding a few washes to make sure the colors were where I wanted them to be. Now it is finished. I started a new painting this morning. This is acrylic used as water media paint. This landscape is part of my "Mountain Daydreams" series, painting from my imagination and my memories of the Rocky Mountains in my home state of Colorado. You may think pink is a crazy color for mountains, but I have seen the mountains turn pink as the sun comes up. (Okay, maybe not this pink.) I think this painting is almost finished, but there are still a few things I want to change, so I will say "to be continued". 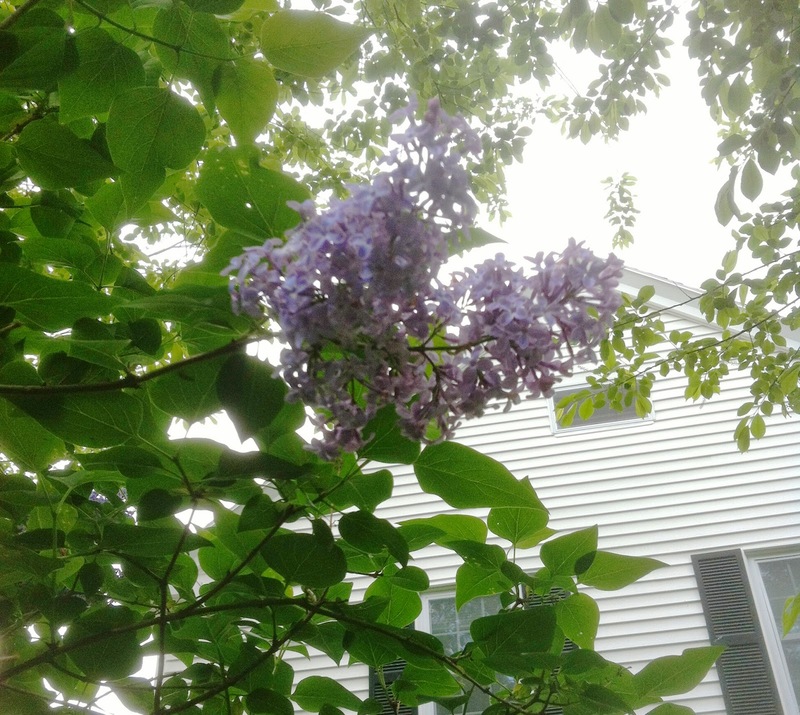 On May 14, we took a ride to Long Hill Gardens (here in Beverly, MA) to see if the lilacs were in bloom. Well, it's been a cool spring, so the answer was "not quite" but some of them were starting to open. They already smelled great and looked beautiful, so I took some pictures. Tonight I cropped this image out of one of the best photos. This morning I worked on the painting I started yesterday, a landscape inspired by memories of the Colorado Rockies. This is acrylic paint used as water media, on watercolor paper. 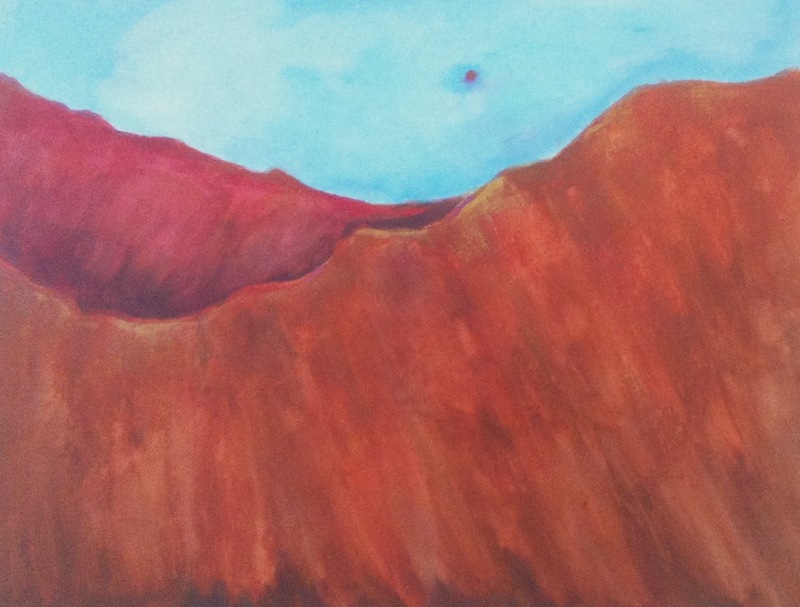 The difference between the red mountain and the orange mountain had disappeared as I worked yesterday, so this morning I used a red wash on one mountain and an orange wash on the other one. While I was at it, I added a pale pink wash to the sky. Then I cleaned up some little problems, and now I am willing to say that it is done. I started another mountain painting today. This is acrylic paint used as water media on watercolor paper. I am painting from memory and imagination, inspired by the Rocky Mountains in my home state of Colorado. 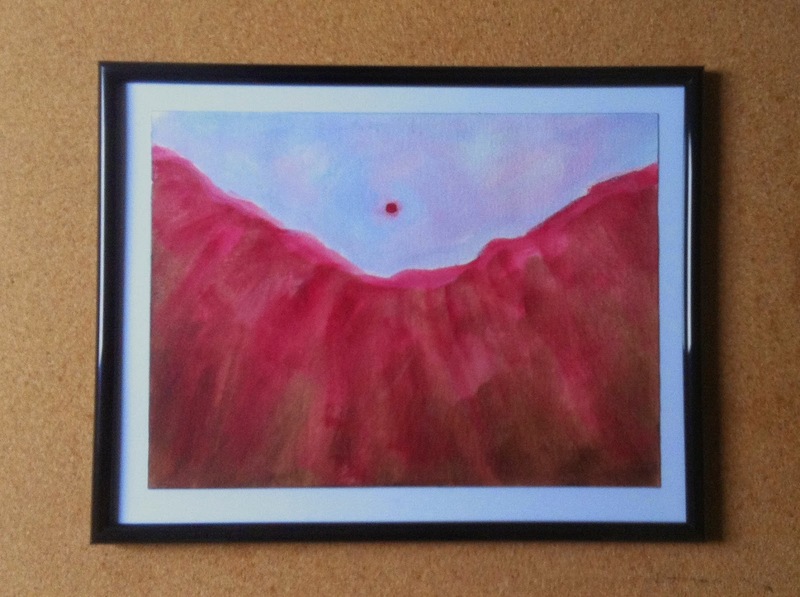 When I started painting this morning, I had one orange mountain range and one red one. Right now, it is hard to tell the difference between them, but I plan to fix that tomorrow with some transparent washes. 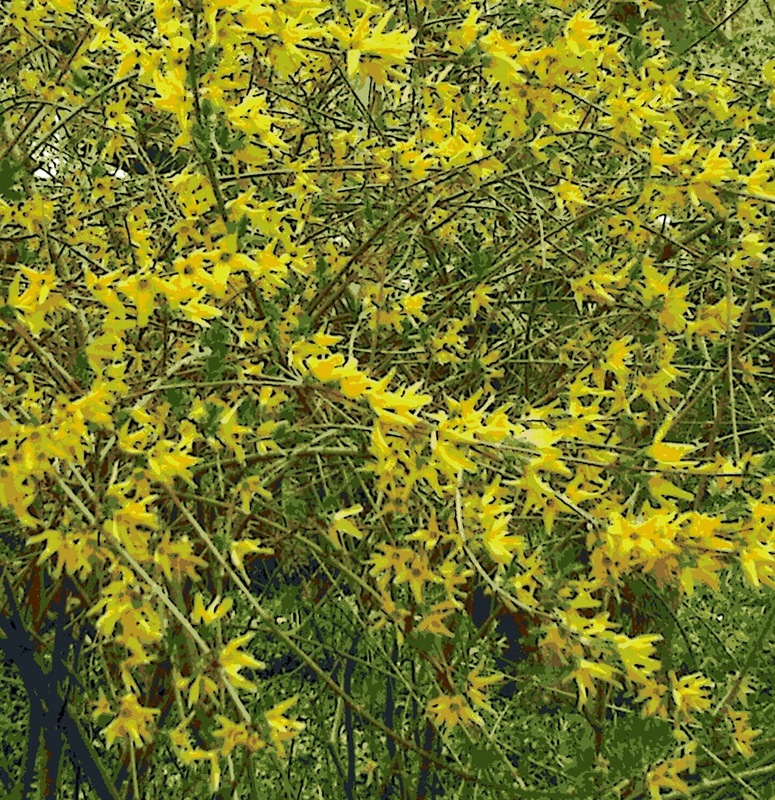 Yesterday I posted a photograph, taken on May 4th, of forsythia in bloom at Long Hill Gardens, here in Beverly, MA. Last night I used Painter to add a woodcut effect to that photo, and here it is. Here's another photo that I took during a walk at Long Hill on May 4th. Tonight I cropped this image out of the original photo. I also used Painter to create a digital woodcut from this photo, and I plan to post that here tomorrow. I am finally catching up on editing some photos that I took on May 4th, during a walk at Long Hill, right here in Beverly, MA. (Long Hill -- aka Sedgwick Gardens -- used to be a private estate but is now owned by the Trustees of the Reservation and is open to the public.) We were having a warm spell, and lots of trees and flowers were already blooming. One of my favorite trees is a beautiful weeping cherry. It was blooming that day, so I took several pictures. One of the best was this one, with the main house in the background. This was an interesting one to edit because when I tried to straighten the image, the composition didn't work as well. 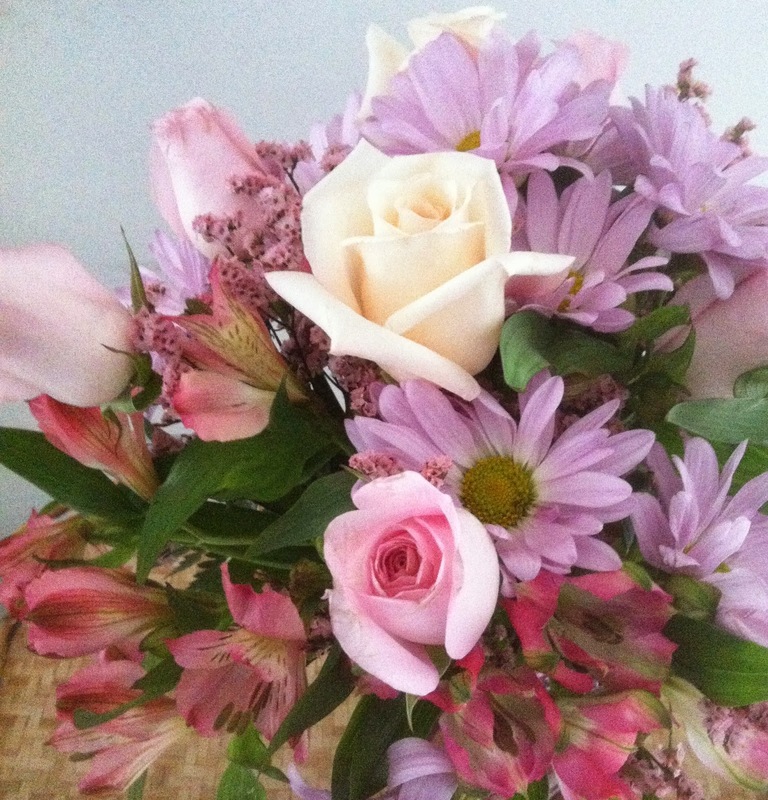 Yesterday I posted a photo of the flowers that I received for Mother's Day. 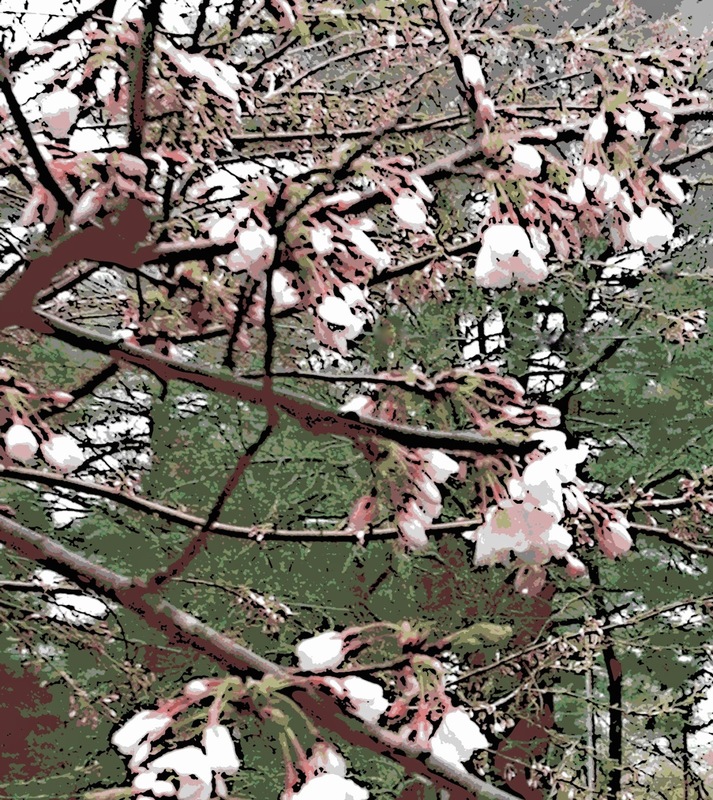 I also used Painter to apply a woodcut effect to the image, and then cropped it to get this composition. 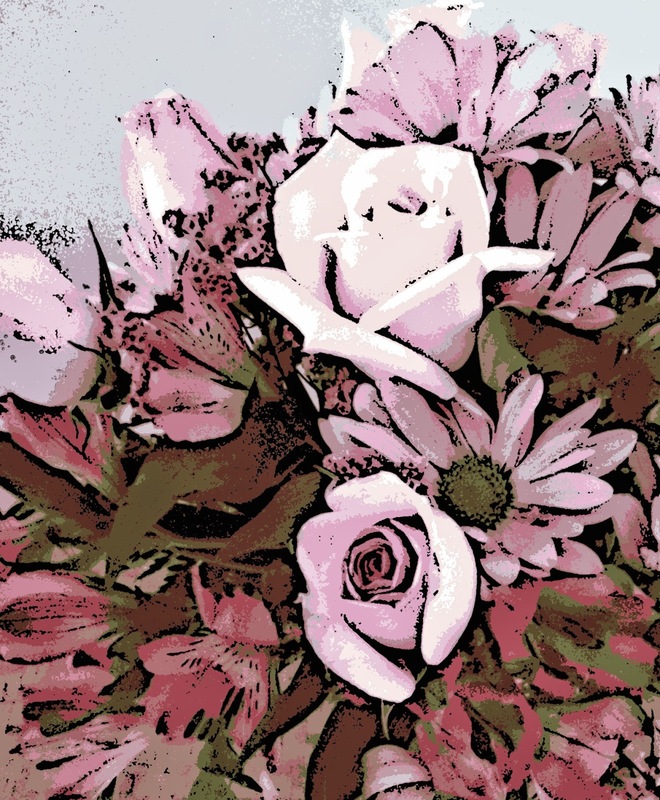 This bouquet of flowers for Mother's Day arrived early, on Friday morning, so I enjoyed it all weekend. And I took some pictures so I could enjoy it even longer. I cropped this image out of one of the best photos. 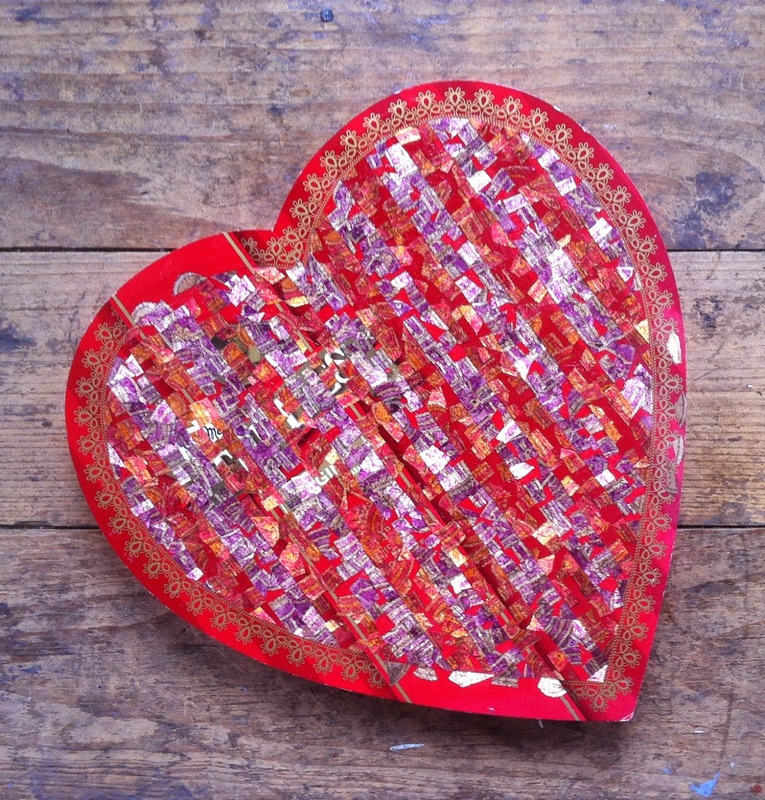 I also used it to make a digital woodcut, which I plan to post here tomorrow. 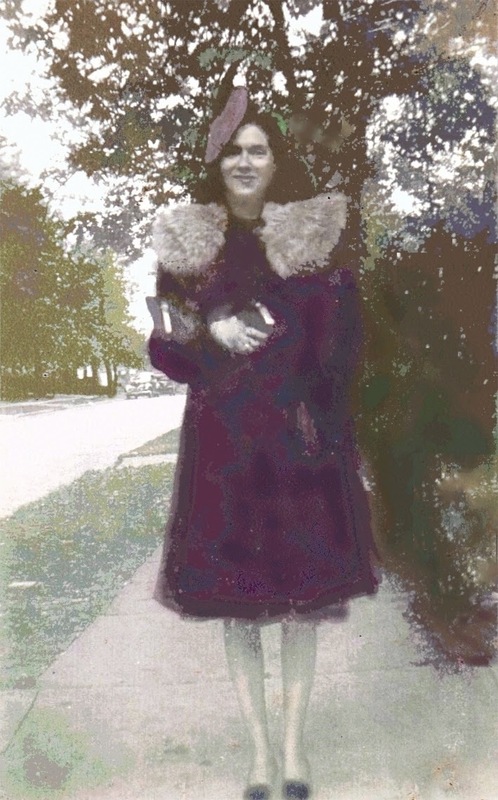 Last year, my aunt sent me a package of photos from my mother's album, pictures of my mom before she got married. This image began as one of those photos, a small black and white snapshot. The exposure was wrong, so the image was very faint, almost uniformly gray. And there were a lot of marks on it besides. But I could see enough to know that I wanted to see more, so I scanned the image in the computer. I did some basic cleanup of the worst marks with iPhoto. Then I used Painter to "equalize" the lights and darks, and the image became clearer, though some areas were still too dark and some were too light. But I could see enough to draw into what was there, using digital pastel to re-define the lines of her hair and coat. Then I had fun creating the color with digital pastel and color overlays. ( I thought my mom would like the red hat.) On the front of the actual snapshot, my mom wrote "Cleveland, Ohio, 10/2/41" so since this was taken in October, I gave the trees a golden cast. And why Cleveland? Apparently she took a lot of bus trips to visit friends. (Whoever took this photo was one of those friends.) It was good to work on this project for Mother's Day and to spend a time thinking about my mother as an independent young woman, touring around the country on her own. Today I added a pale pink wash to the sky, and then neatened up some lines and cleaned up some stray marks. Now I am ready to say that this is finished. Here is my painting as it looked on May 5, 2014. This is acrylic paint used as water media, on watercolor paper. I am working from my imagination and from memories of the Rocky Mountains in my home state of Colorado. 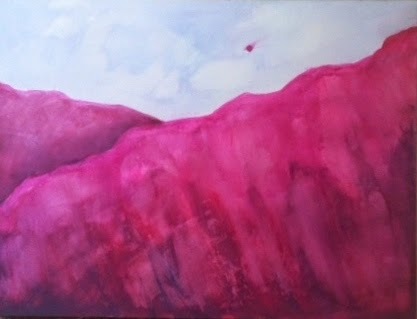 This painting is just about finished, but I am thinking about putting a very pale white or soft pink wash over the sky. 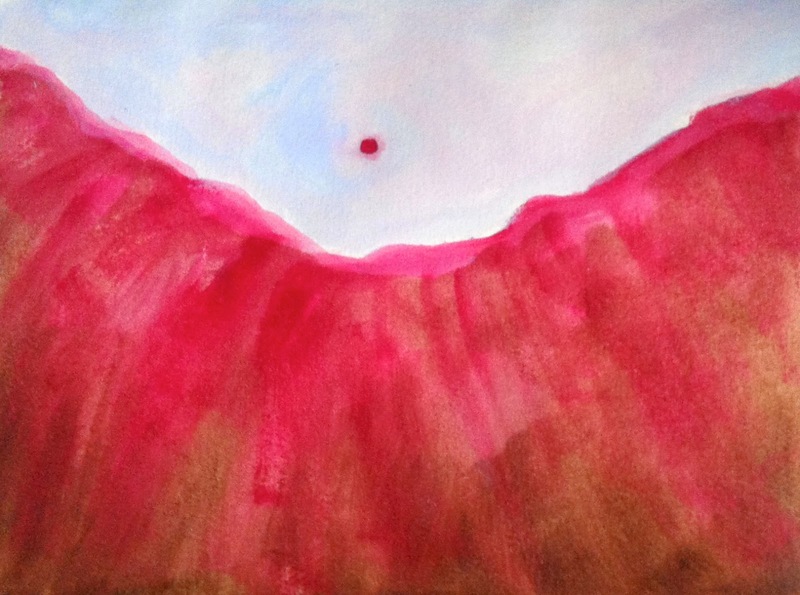 On May 4th, I got another painting started, with the position of the sun and the line of the mountain range. 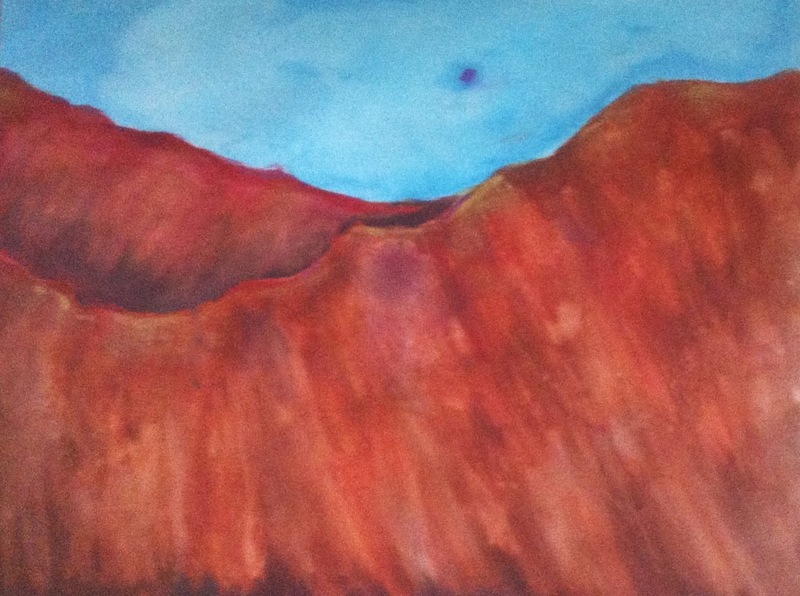 This is another of my mountain paintings done with acrylic paint used with water on watercolor paper. These paintings are my Colorado daydreams, inspired by memories of the mountains in my home state of Colorado. To be continued. . . . Here is the painting I have been working on as it looked on May 4th. 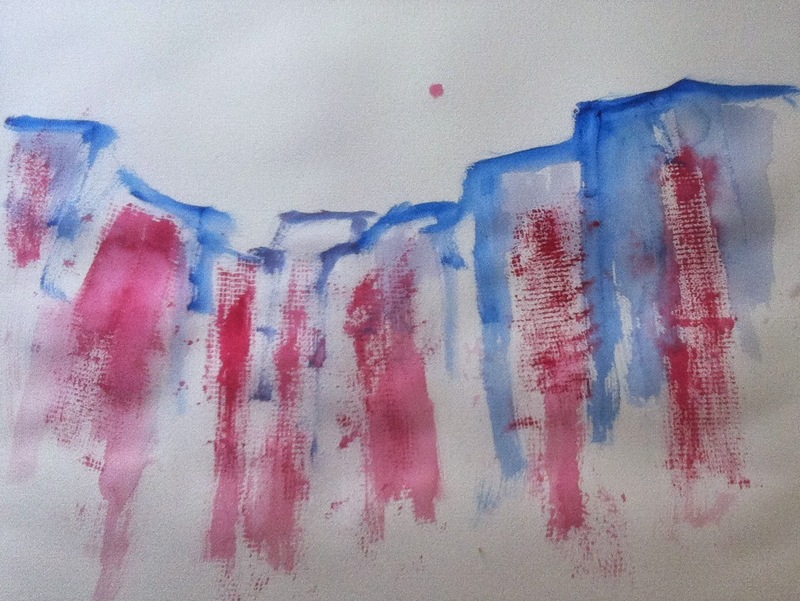 (This is acrylic paint used as water media, on paper.) I used some washes with white paint to soften some of the marks in the sky. This was detailed work, but after about an hour, I was a lot happier with the sky, and the painting was finished. May 3rd was the second day that I worked on this painting, a mountain landscape in acrylics (used as water media on watercolor paper). 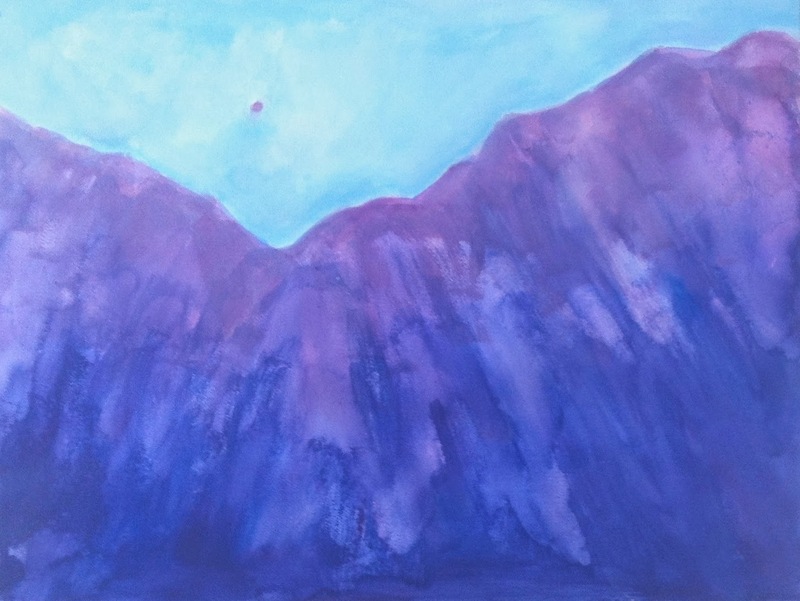 The composition was basically done, but I wanted to add more complexity to the colors, so I used a blue wash over parts of the sky as over the purple mountain. 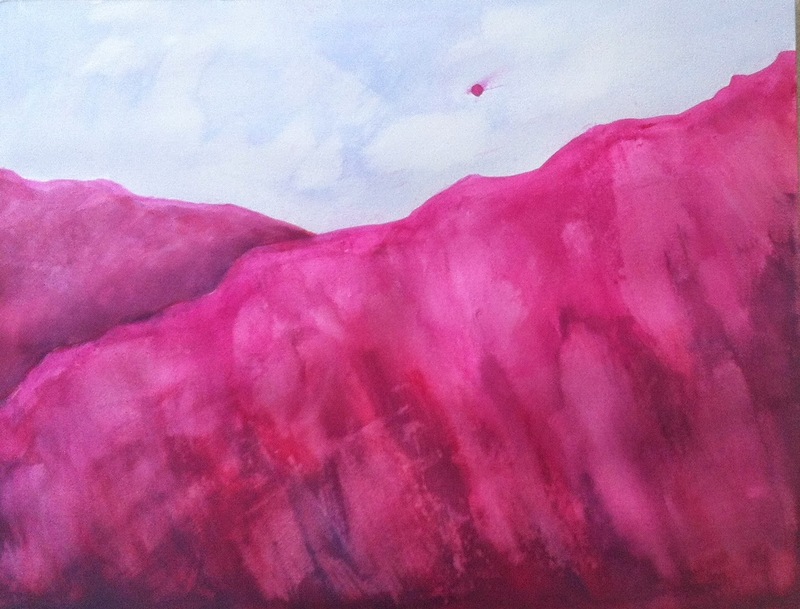 Then I added an acra violet wash to the red mountain. These are all subtle differences, but I was a lot happier with the colors when I was finished. But the sky still needed work. To be continued. It's time to get back to my mountain paintings. This is acrylic paint used with water (as if it were watercolor, though acrylic paint behaves very differently from watercolor). This is how this painting looked on the first day (May 2, 2014). I am working from my imagination and from memories of the Rocky Mountains in my home state of Colorado. To be continued. . . . 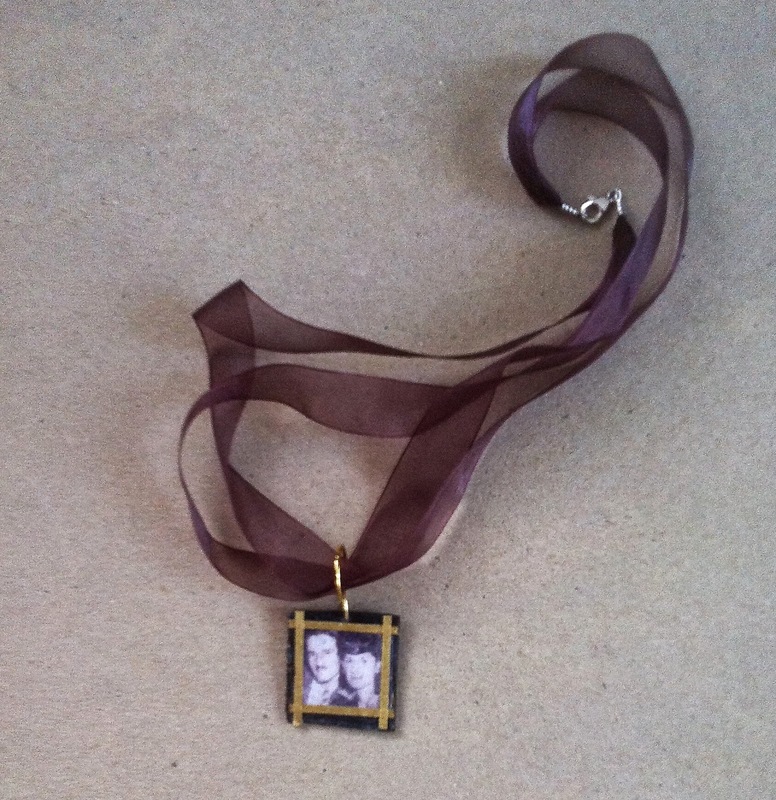 This ribbon necklace features a pendant that I created last week, using a family photo, fabric, and ribbon. The photo is an image of my parents, cropped from a larger photo. (Here is a link to larger version of it that I posted back in 2008: http://randiart.blogspot.com/2008/11/evening-out-posterized-photo.html. When I had finished the pendant, I attached it to the ribbon necklace with jump rings, and it was ready to go. I made this necklace for myself, but it is also an example of something that I can make for other people, using one of their favorite photos. Yesterday began with a heavy rain, but the weather cleared up by midmorning. That was a good thing, because the tree-trimmers came. When they were working on the cherry tree, I went outside to see how things were going. While I was at it, I took some pictures. Tonight I used Painter to create this digital woodcut from one of the photos. It was cold and rainy again this morning. 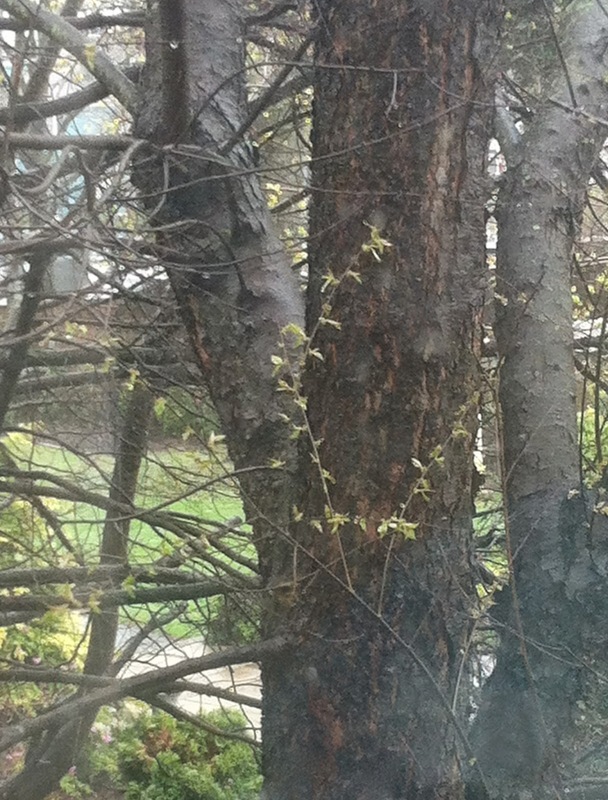 I looked out the bedroom window and saw this scene, with just one little branch leafing out. I liked the way it looked, so I took this picture.